Overall, 9Lives Meaty Paté With Real Chicken is a significantly below average cat food, earning 4 out of a possible 10 paws based on its nutritional analysis and ingredient list. Although not the first product listed (which is the most plentiful), 9Lives Meaty Paté With Real Chicken does contain with its top ingredients chicken which are considered quality protein sources. 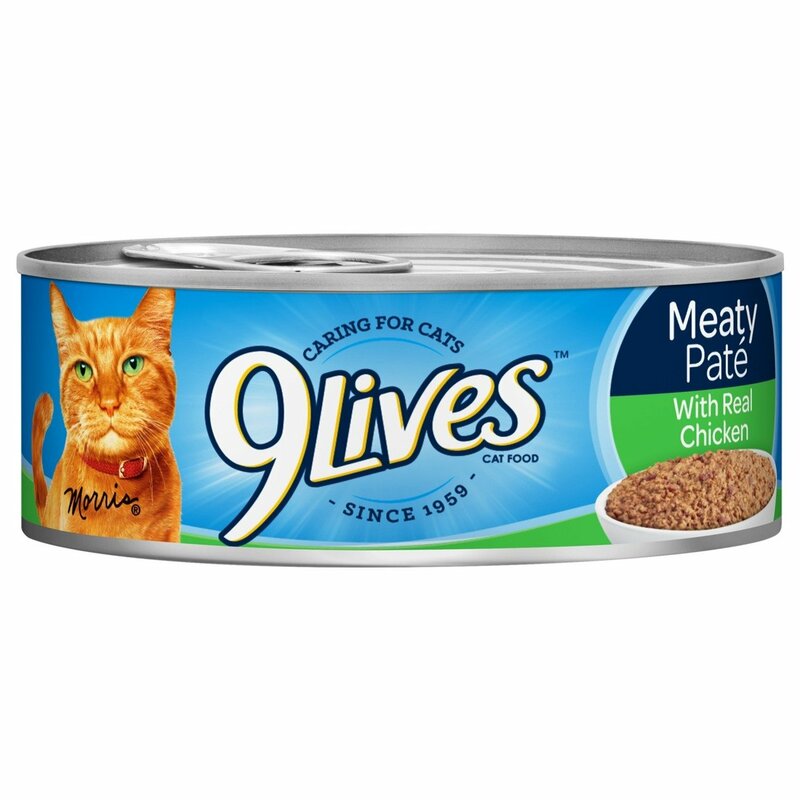 In this case, 9Lives Meaty Paté With Real Chicken's first ingredient listed (and hence the most plentiful) is meat by-products which is considered an inferior ingredient. It also contains poultry by-products within its first five ingredients. Allergen alert: This product contains fish and meat by-products which may be problematic for cats who suffer from seafood or meat by-products food allergies. Using the calculations provided by the AAFCO, 9Lives Meaty Paté With Real Chicken has approximately 82 calories per 100g (23 calories/ounce), which is an average amount of calories compared to the average of the other wet cat foods in the CatFoodDB. All the product information on this page is based on data collected from the manufacturer's product website as retrieved on July 1, 2018.